IV rooms, often used in hospital and pharmacy applications, are a place for the sterile preparation of IV medications. Under the revised USP <797> regulations, compounded sterile preparations (CSPs) are requiring stricter adherence to federal regulations and protocols. It is essential that newly constructed clean rooms and enclosures maintain a strict adherence to these and other requirements through in-depth knowledge and an understanding of current regulations and protocols, as well as the ability to provide the level of certification required for a particular application. 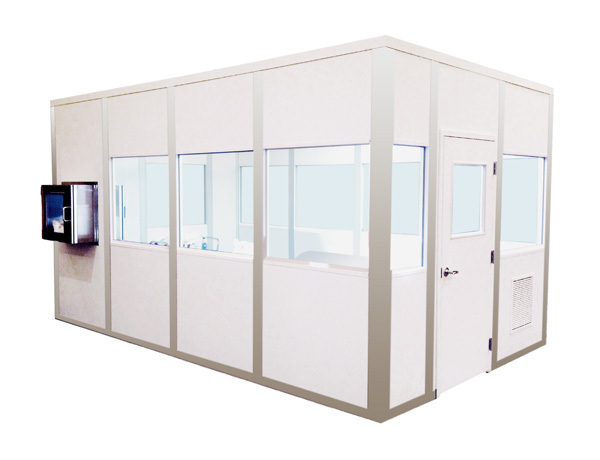 PortaFab specializes in the turn-key design and construction of modular clean rooms including applications specifically requiring IV rooms and enclosures. We will be happy to provide a customized quote based on your specific requirements and application. Please fill out our Request a Quote form in order to get the process started. Read more about USP 797 cleanrooms and compounding labs.